Deciding to start a blog is one thing and being ready to write your first ever blog post is another. Some people know right away what their opening sentence will be, what writing style they will use, what mood to maintain throughout the blog. Others find it extremely hard to come up with words. They might sit in hesitance for several hours straight staring at the blank screen. But have no fear: all you need are some writing tips to make you feel more confident as a writer. Honestly, there is no such thing as “I am not a writer.” It is just someone’s persuasion. It’s simply what you’re telling yourself. The good news is: persuasions can be changed. All you have to do to start writing is a little bit of practice and persistence. The fun infographic below gives several actionable tips that if applied regularly can help beginner bloggers with self-doubt overcome their fear of writing. First thing you have to do is build a foundation for productive writing. That is, read a lot, so as to come up with words easily, free write several pages in the morning to boost creativity and get your brain working and, of course, get rid of all the distractions, the Internet being one of them. These are just some basic things to start with. 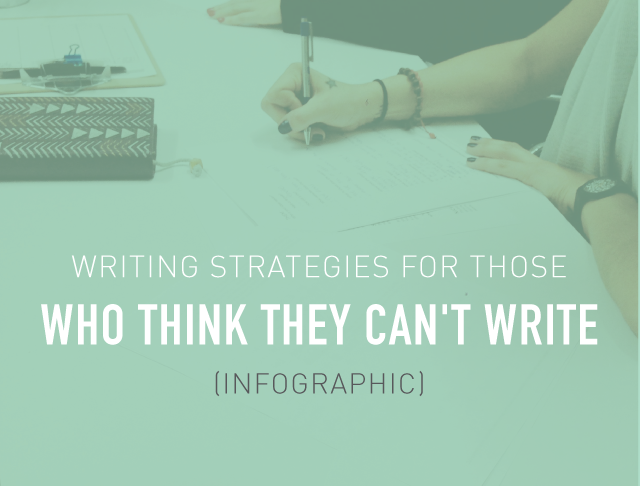 Later, when you get down to actual writing, use the strategies from the infographic to ease the process and make it more productive. Finally, to power up your blogging use the editing tricks, so your blog will be a pleasure to read. Flip through the below slideshow to get some easy writing tips that you can implement right now and make a huge difference in your work, plus your confidence. And remember: you totally got this!